This post was updated on February 5, 2019 to include up-to-date information and recommendations. Denver’s coffee culture is growing every single day, from the coffee drinkers to the coffee roasters to the neighborhood coffee shops. And they’re not all just about caffeine. Many of the city’s best coffee hangouts are simultaneously working to build community, support other local businesses, benefit struggling people in our communities and so much more. Listed below, you’ll find 23 of the coffee shops in Denver that are doing just that. And they’re also serving some of the best coffee in the coziest atmospheres in the city. Enjoy! 2914 Coffee is a bright, modern and cozy coffeehouse located in the Jefferson Park neighborhood at 2914 W 25th Ave. But their name isn’t just inspired by their address; it’s also inspired by the wedding date of the owners, Anthony and Melissa Davis. Inside the shop, you’ll find coffee roasted by Denver’s Kaladi Brothers Coffee (also on this list) and artwork created by Anthony himself. Aviano Coffee has won several local awards for their delicious cortado and for their amazing patio. 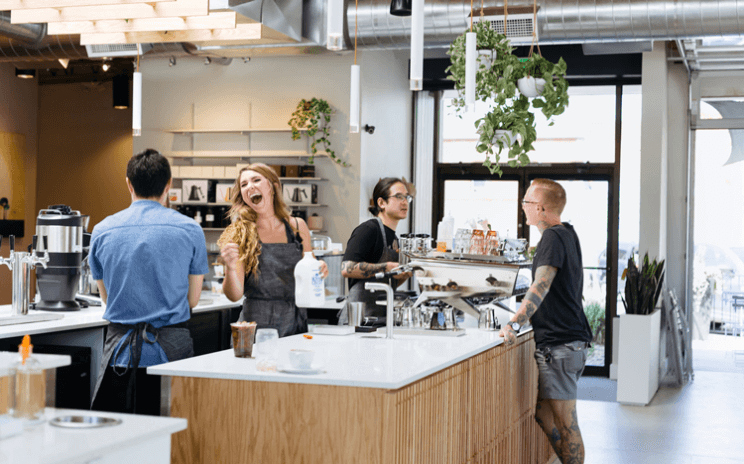 And when you combine great coffee, a community patio, modern industrial décor and Intelligentsia Coffee, you’ll find it’s pretty easy to land on a list of Denver’s best coffee shops. Located in Cherry Creek North, Aviano is the perfect place to sip coffee, take a shopping break and enjoy the Colorado sun! Blue Sparrow Coffee was born in the Backyard on Blake community of Denver’s thriving River North Arts District. Here, they’ve cemented their coffee shop as the neighborhood gathering place. Inside, they offer a lineup of drinks on tap, including Upstart Kombucha, CBD Nitro Cold Brew and Blueberry Soda, as well as local foods from La Fillette, Rebel Bread, Marczyk Fine Foods, Patter Bar and Genova’s Biscotti. But what about the coffee, right? At Blue Sparrow Coffee, they feature a new artisan roaster every few weeks. That means you can taste something new every time you visit! Keep an eye out for their second location coming to LoDo in Spring 2019. Since 1992, Common Grounds Coffeehouse has been providing some of the best atmosphere and roasted coffee in the city. Spanning more than 20 years, their history has roots in the Highlands, LoDo and Sunnyside, but today, you can find them in one Sunnyside location where they roast coffee and serve it fresh. The cafe is highly community-focused and their team invites guests to linger and enjoy books, games, newspapers, artwork and more. Commonwealth Coffee was founded in the fall of 2013 with the goal of sharing handcrafted coffee with people. By fostering a sense of community and carefully crafting every single roast, they’ve developed quite the following in North Park Hill. Stop in their bright and welcoming shop for yourself and find out what good coffee and great community really feels like. Established in 2006, Copper Door Coffee is Denver’s only 100% female owned coffee roaster. And that’s not the only thing that sets their team apart; they’re also roasting some of Denver’s best tasting coffee. Crafted in small batches, you can taste that coffee and pair it with locally baked pastries inside their two Denver cafes: a chic, industrial space in Baker and a cozy cafe in Lowry. Now found in homes and coffee shops all over the country, Corvus Coffee Roasters began right here in Denver and still operates two Denver cafes. Their motto, “Good coffee comes from good people,” comes from their mission to source green coffee beans directly from the farmers who grow them. And their team visits those farmers every single year. Back home, they roast coffee by hand in small batches, sell it online, and brew it in cafes on South Broadway and in the Denver Tech Center. Nestled in one of Denver’s most eclectic neighborhoods, this hipster coffee shop fits right in. 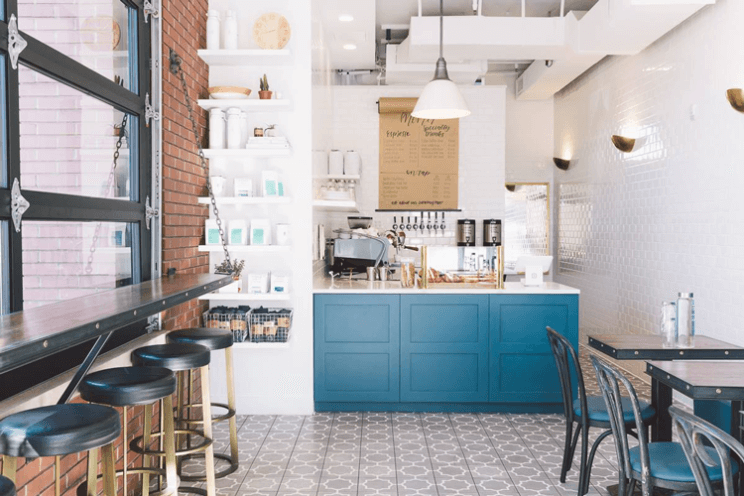 Their team is dedicated to pulling the best espresso in town and offers a full lineup of coffee beverages alongside a packed pastry case and a creative food menu. Stop in, grab a spot on one of their cozy couches and settle in, because you’ve found one of the best hangouts in town. Drip is hyper-local, and they have been since opening their doors in 2012. At their cozy shop located in the Golden Triangle neighborhood, you can enjoy free parking and strong WiFi, coffee roasted by Colorado roasters, homemade chai, food made by Colorado purveyors, art made by local artists and, sometimes, you can even catch a live music show or book signing. Huckleberry Roasters was started in 2011 by two friends who wanted to build a business that made an impact on our city and its people. Seemingly in no time at all, the small roasting operation exploded into what it is today: a coffee giant in a city that loves coffee. And that means their impact has grown, too. Their entire team is dedicated to being a socially conscious business that invests in people and seeks out collaboration, both locally and globally, and when they’re sourcing coffee, they prioritize small farms and coffee co-ops. Kaladi is a big name in Denver for good reason. This small roastery and coffee shop is the brainchild of Andrew Melnick and Mark Overly, formerly President and Coffee Buyer of Kaladi Brothers Coffee which began in Anchorage all the way back in 1986. Here in Denver in 2000, Mark and Andrew began their new venture and devoted the business to sourcing coffee from sustainable and conscious farmers, utilizing air roasting technology, serving outstanding brewed beverages, and building community. And that’s exactly what they’re doing in both their Colorado cafes. Quite possibly the cutest little shop in Denver, Lula Rose General Store is a brick and mortar coffee shop and general store that also offers flowers for sale during the weekends and flower workshops through Little Lula Rose. Nestled on a corner of Colfax just down the street from the Bluebird Theater, we definitely recommend stopping in for coffee on a weekend so you can get the full, charming effect. Founded in 2002 by Jake, Herb and Joseph Brodsky, the Novo Coffee family has grown to include five locations throughout Denver. At their roastery on Larimer, you can enjoy a public one-hour cupping and tour every Friday at noon, and through their Novo Barista Training School, you can also take classes in espresso pulling, milk steaming, coffee brewing and more. Swing by the Hilltop location if you want breakfast or lunch with your coffee, but swing by any location to taste some of Denver’s best craft coffee beverages. Pablo’s Coffee is one of Denver’s very first craft coffee roasters and was founded from an extreme love for coffee. 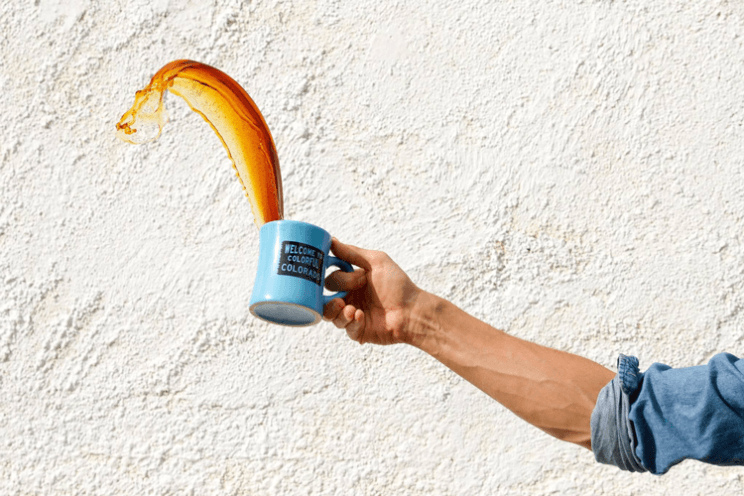 So extreme, in fact, that Founder Craig Conner quit his corporate job, sold his house, maxed out his credit cards and opened Pablo’s Coffee in 1995. Today, the coffee shop and roastery has become a Denver staple. Their team sources green coffee from all over the world then roasts it by hand in small batches, sells it online, and serves it up in three different Pablo’s locations. 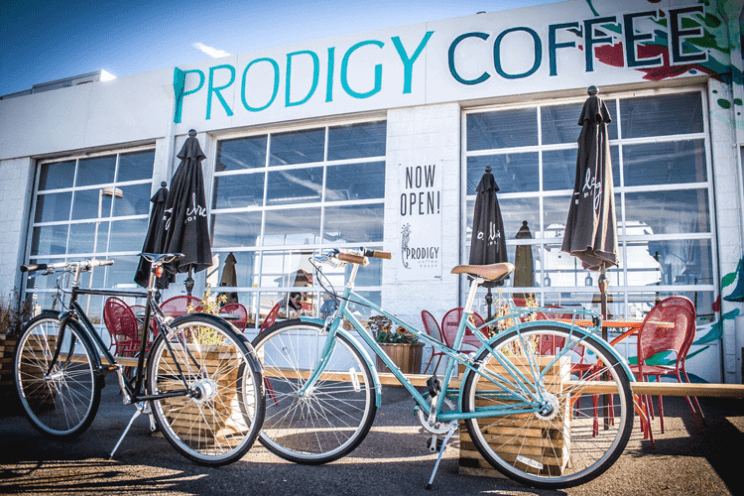 Prodigy is unlike any other coffeehouse or business in Denver. In addition to offering an awesome, wide open and art-filled gathering space in Northeast Denver, they also run an apprenticeship program for disconnected young adults. Through the program, students are invited into a year-long apprenticeship that teaches necessary and modern skills in life, self, craft and enterprise. To learn more about their work and how you can help, click here. Purple Door Coffee is dedicated to crafting great coffee and making a difference in our community. Through their specialty espresso bar and coffee roastery, they employ teens and young adults who have been homeless and want to leave homelessness behind. So, while they’re handcrafting coffee in-house and serving it in the shop, they’re also giving second chances to young people who are rebuilding their lives. First, a vocabulary lesson: Sonder is a noun that describes the realization that each random passerby has a life just as vivid and complex as your own. And at SONDER Coffee & Tea, the team crafts coffees and teas that are as unique and complex as each one of us. 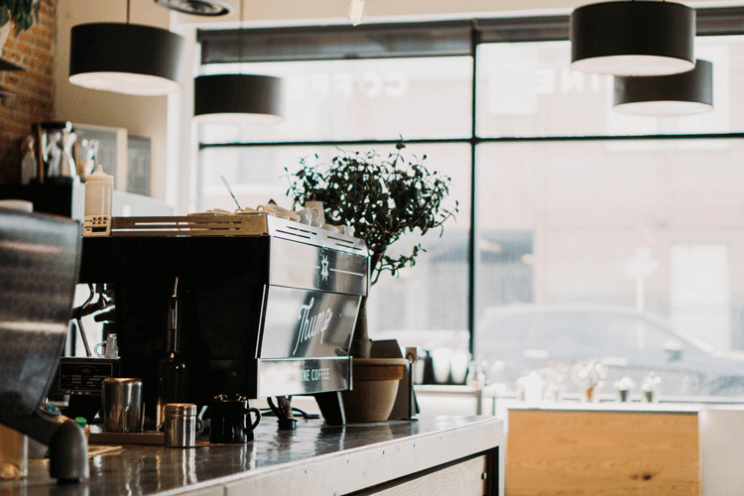 Swing by to taste their small-batch roasted coffees, a mug of hot, loose leaf tea and a local pastry and you’ll soon find your second home in their bright and modern cafe located near Cherry Creek State Park. Whether it’s the growers, the shippers, the roasters, the makers or the drinkers, Spur Coffee loves people and loves coffee for the way it has connected their team to every person along that journey. You can order your coffee to drink at home or stop in the bright and modern Denver cafe to pair your beverage with pastries and food items that are made from scratch daily. Described in one review as a Pinterest dreamland, the Steam Espresso Bar atmosphere is complete with exposed red brick, industrial garage doors that are left wide open on warm days, a stylish wood bar and down-right dapper customer service to top it all off. Established in 2013, their team serves coffee that is ethically sourced, only buys coffee from micro-roasters, and brews it using cutting edge and sustainable techniques. A staple on Old South Pearl Street, Stella’s has been serving up lattes, espresso, iced matcha, homemade chai, towering cake slices, tasty neighborhood treats, and more since 1991. Their dog-friendly patio—complete with fire pits in the front and back—is a favorite hangout on cold winter days, warm summer evenings, and during the South Pearl Street Farmers’ Market. One of the only late-night coffee shops in the city, Stella’s is open until 11 p.m. or midnight every night of the week! Though officially located in Lakewood, Sweet Bloom Coffee Roasters is frequently named on lists of Denver’s best coffee shops and roasters, because they roast and brew some of the best coffee in the entire state. In fact, Founder Andy Sprenger is a two-time US Brewers Cup Champion, runner-up in the World Brewers Cup Championship, the 2013 US Aeropress Champion, and runner-up in the 2014 US Cup Tasters Championship! Located just around the corner from Casa Bonita and minutes from Sloan’s Lake, their cafe offers educational coffee classes, bags of their artfully roasted coffees to take home, and a cozy atmosphere to meet, work, sip and hangout. Thump was born in Bend, Oregon and has grown to include two Bend coffee shops, two Denver shops, and a Bend roastery and bakery. Driven by the unique experiences and the outdoors of Oregon, they strive to roast and brew their coffees with that same passion. And their team of adventure lovers and latte artists proves that dedication day in and day out. In their Denver shops, they’ve developed open, welcoming spaces for people to gather, to work, to enjoy coffee, and to build community. They also offer house-made pastries, sandwiches, salads, and local beer and kombucha on tap. Nestled on a quiet, residential street just a few blocks from Wash Park, Wash Perk Coffee House has been serving great coffee in a warm, community space for nearly a decade. 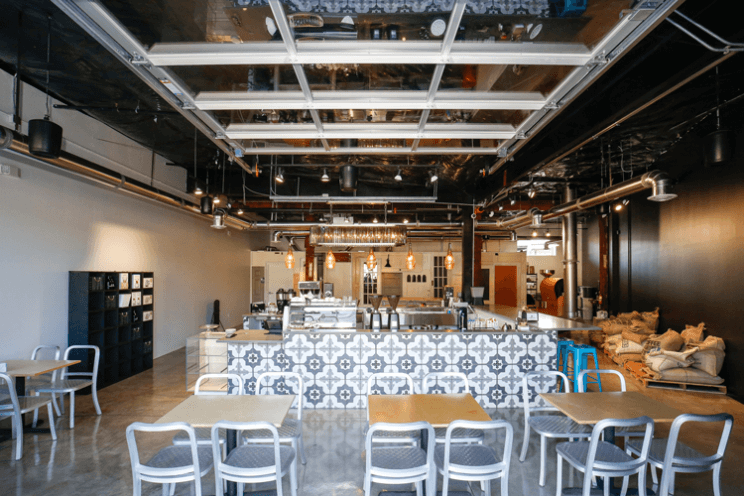 Their team believes the neighborhood coffee shop holds a special place in every community, and have created a beloved space based on that idea right here in Denver. While you’re there, be sure to pick up a freshly and locally baked pastry, too! Tell us about your favorite Denver coffee shop in the comments below!